Her most recent pairing will blow your mind but given that she started her career as a TEFL teacher, it will make perfect sense. Elena Amigo has also worked for Fratelli Branca Distilleries as well as other wineries. 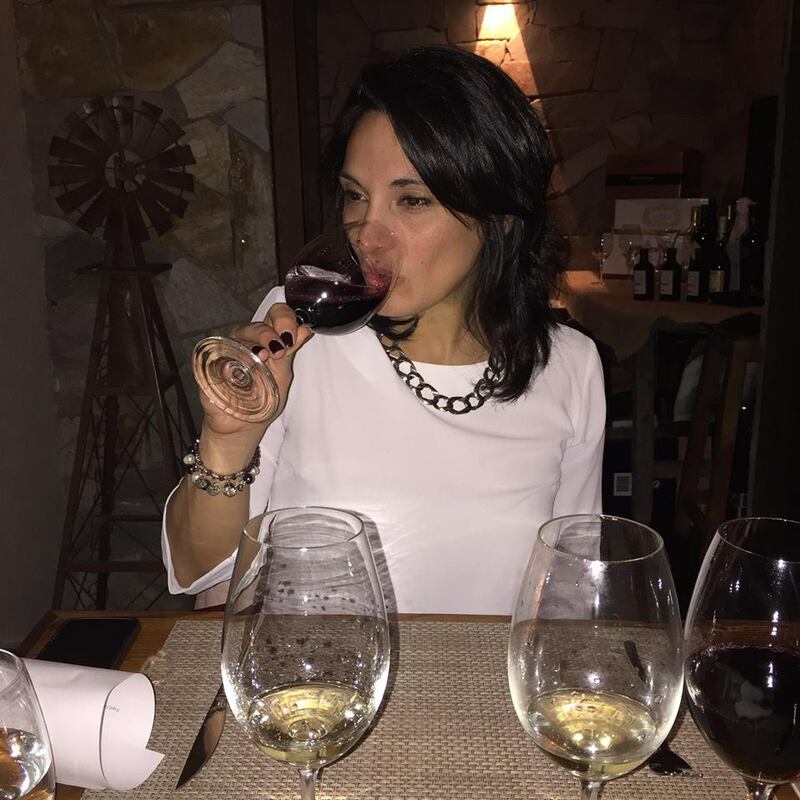 These days she’s a freelance somm who you’ll find at Consultora Umami, and she also leads tastings in impeccable English, of course. I was talking to a friend on the phone about love and its mysteries, and suggested he lit a candle, poured a glass of the oldest wine he had in his cellar and read Grimms’ Fairy Tales. He followed my instructions strictly and keeps calling me for further pairing advice. A glass of the new Single Vineyard Malbec from Naoki’s Vineyard in Agrelo, Luján de Cuyo, Mendoza. I haven’t been to France but a few months ago I watched a documentary on Burgundy and immediately fell in love with it. Their landscape, their castles and ancient winemaking history, all the family values that lie behind each and every château. In contrast with Argentina, most of them run small enterprises, handcraft projects that are handed down from generation to generation. The vines are a vehicle of family identity. Wine as the way and not as the destination. It’s a valuable tool to relate to people and try to share any life experience that meant something to that person. Empathise with a total stranger and feeling like you’ve been in his place is a magical moment you can experience while drinking wine. Tempranillo from El Cepillo in Uco Valley, 40 months of oak ageing, from my dear friend Brennan Firth. There is an endless collection of great moments in my somm life. I would try and synthesise them in two aspects; one might be to meet talented and passionate winemakers who put their hearts and knowledge into their wines. Second, I find the transformation of wine consumers’ habits really amazing. And when they let me witness that change and thank me for growing their seed of curiosity, I know I did my job accurately. Definitely a blend, 50% Merlot-20% Cabernet Sauvignon-30% Pinot Noir. I’m a multi-layered woman who feels comfortable in complexity, dealing nicely with dramatic extremes that strangely enough, make perfect sense to me. My Merlot side would be expressed by plumpness and freshness at the same time, fruity but a little spicy, a hint of sweetness but not too much. My devotion to elegance and discretion would be floating in the Pinot Noir section. In case I need some aggressiveness to speak out about my ideas and to make some noise whenever I enter into a room, I extend my Cab wing to the audience before anybody makes a move. Plenty of tannins come out of my aura.